Hiba Ali is a new media artist, writer, curator and musician from Chicago, Illinois, U.S.A. Her performances and videos concern music, labor and power. Her performances as H1BA sample her immigrant, black, brown, and refugee ancestry. She believes in the power of her ancestors, queerness and Sufi Islam. She conducts reading groups addressing digital media and workshops with open-source applications and technologies. She is a PhD candidate in Cultural Studies at Queens University, Kingston, Canada. 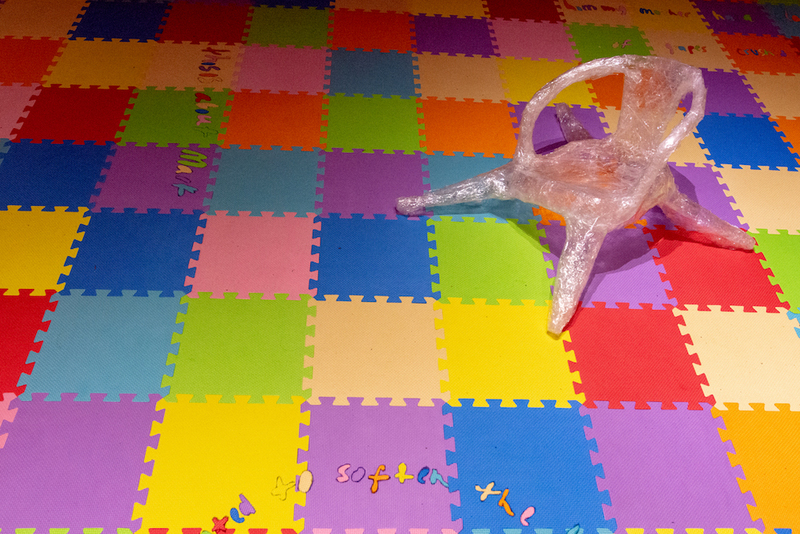 She has presented her work in Chicago, Stockholm, Toronto, New York, Istanbul, Detroit, London, Riga and Dubai. My work reflects a world of personal and generational repetition. Growth is rapid and brought on by a single action, a shift in environment, or artifact. A place can spark a memory and teleport you to another place all together. I use flashback, recollection, and introspection as way to play with the idea that even though our bodies may be growing, we may not be mentally and emotionally maturing. The only chance for personal growth is reflection. 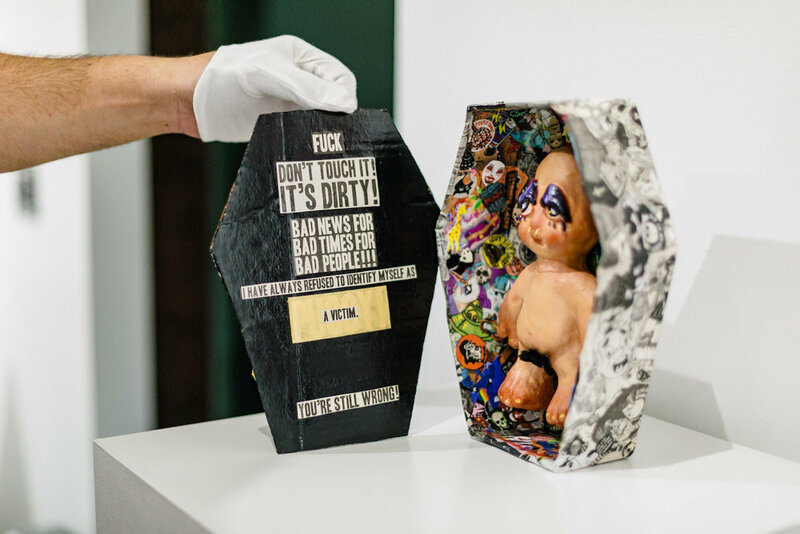 Jonathan Chacón is an Los Angeles-based interdisciplinary artist whose work incorporates performance, writing, installation, sculpture, photography, and video. He has attended Yale School of Art, Skowhegan School of Painting and Sculpture, and School of the Art Institute of Chicago (SAIC). He has also been invited as a visiting artist at California Institute of the Arts (CalArts). 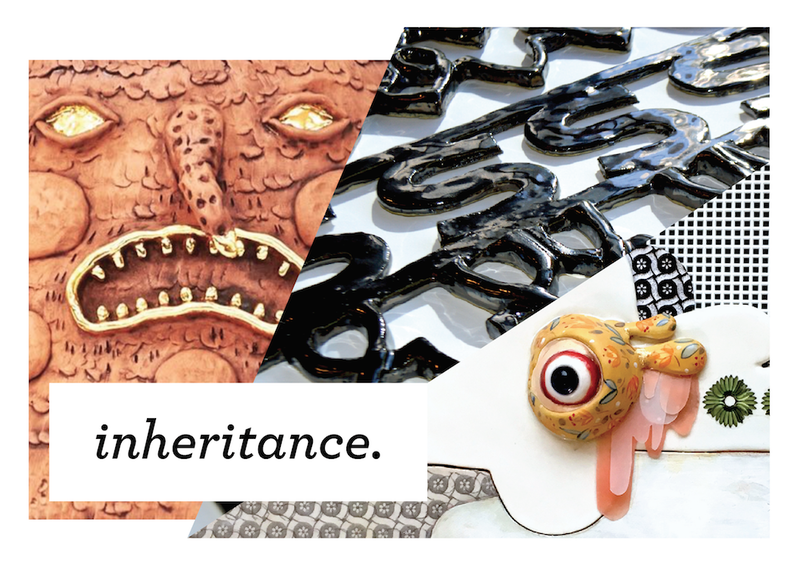 Inheritance weaves together the talents of April Felipe, Habiba El-Sayed and Natalia Arbelaez, whose work engages ideas of selfhood, be it constructed or obligatory. Each of theses artists use ceramics as a tool to question: who is hyper visible and who goes unseen? Whose identities are anchored and who is left with a sense of loss in search of belonging? And finally, how much power do we truly have in correcting the course of our inherited paths? Through personal narrative, they challenge us to reflect inward and explore how our complicated pasts affect our present understanding of the self. Growing up, people begin to deal with the idea of identity, not just who we are but how we place ourselves within groups beyond our families. For me, this placing became a cultural question. As my parents were from the Caribbean, I was connected to multiple cultural groups. However having grown up here in America and not fitting the visual stereotypes of my heritage, I never felt like I truly belonged to any of those cultures. I became aware that the way I presented layers of my past could be used to validate my desired place within these groups. Reflecting on my struggle, I began to question the way we construct personal history in service to our desire for belonging. I consider the tale of The Ugly Duckling, a narrative that perpetuates visually belonging, and the reward of finding ones “true” place, in conjunction with issues of colonialism. Through the layering of materials and patterns, historical, found, and invented my work explores this narrative and the constructed nature of the past to reveal our desire for belonging. 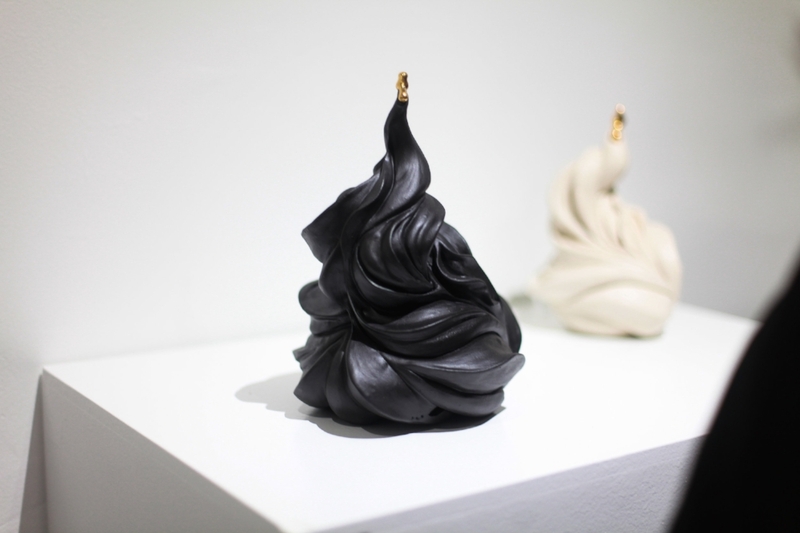 Habiba holds an Advanced Diploma from Sheridan College in Ceramics (2014) and a BFA in Ceramics from the Nova Scotia College of Art and Design (2016). Her work has been shown across North America and she is currently a resident artist at Harbourfront Center in Toronto. 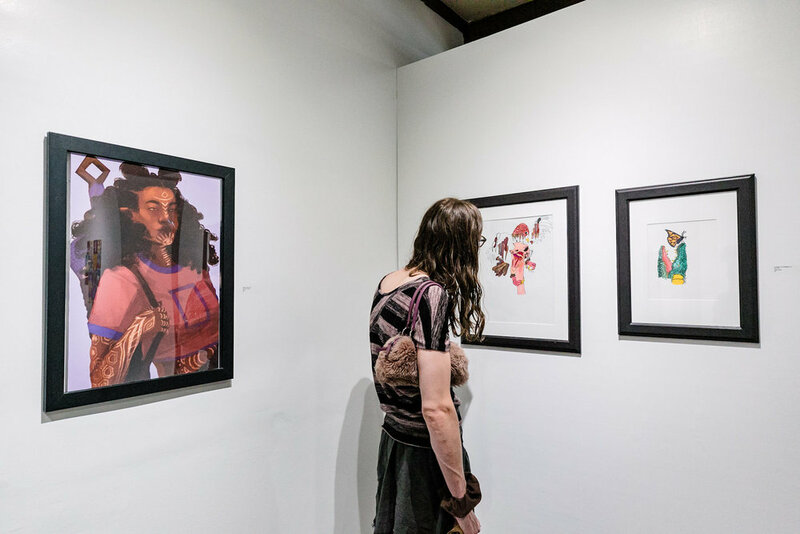 Bringing together the work of Raychelle Duazo, Lilian Dirrebes, Emma Kates-Shaw & Adam Ponto: Stratum explores the practice of tattooing through the lens of race and gender in an industry dominated by misogyny, racism and colonization. By focusing on the work of those with multiple marginalized identities and those with direct cultural ties to the practice of body modification, we begin to deconstruct how the industry and practice have manifested. We carve out a place for artists who make a transformative place for healing, reclamation of self and ancestry. Stratum seeks to reveal the multitudes that tattooers are capable of as artists, storytellers and activists. My process examines cultural roots feeding modern society, and the ancient stories that influence our psyches to this day. Melancholia is a series of reflections and mantras created while surviving with chronic mental illness rooted in cultural and genetic trauma. Adam Ponto is a multidisciplinary artist living in Portland. 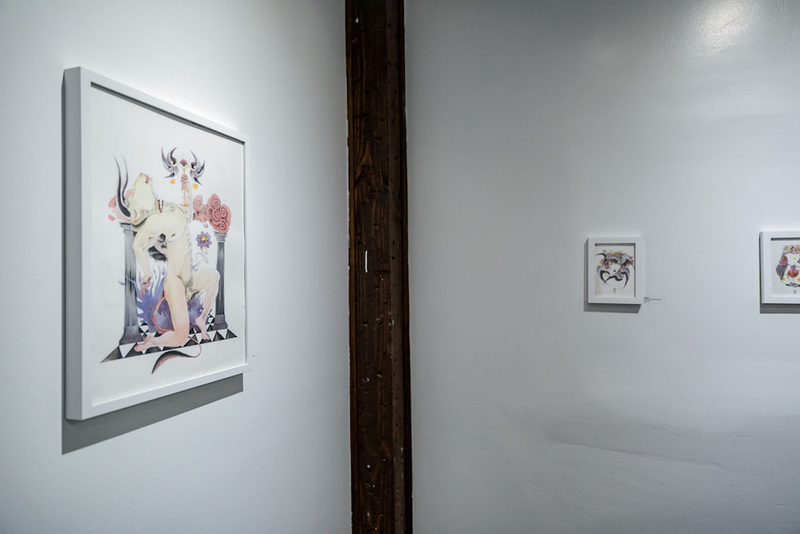 His current focus is centered around tattoos, drawings, and watercolor. His work explores recurring existential and spiritual themes found across human societies. Within each piece there are explorations of fundamental truths and collective healing. Lilian is a Palauan artist and cultural worker from Portland, Oregon. In the last decade, they've devoted their work to empowering Pacific Islander communities in the Pacific Northwest. While her artistic roots are grounded in painting and illustration, she has also uses other means, ranging from writing and storytelling to tattoo and woodworking, as vehicles for exploring the intersections of Pacific Islander diaspora, queer identity and matrilineal legacy in her works. Outside of creative endeavors, Lilian is a communication professional in the Portland Metro Area and serves her communities in various volunteer capacities. As a queer brown femme who creates, I am constantly trying to make art that reflects the vibrancy, warmth, vulnerability, and power of marginalized communities. I firmly believe we love and understand ourselves (and one another) better when we see ourselves reflected in a positive way. 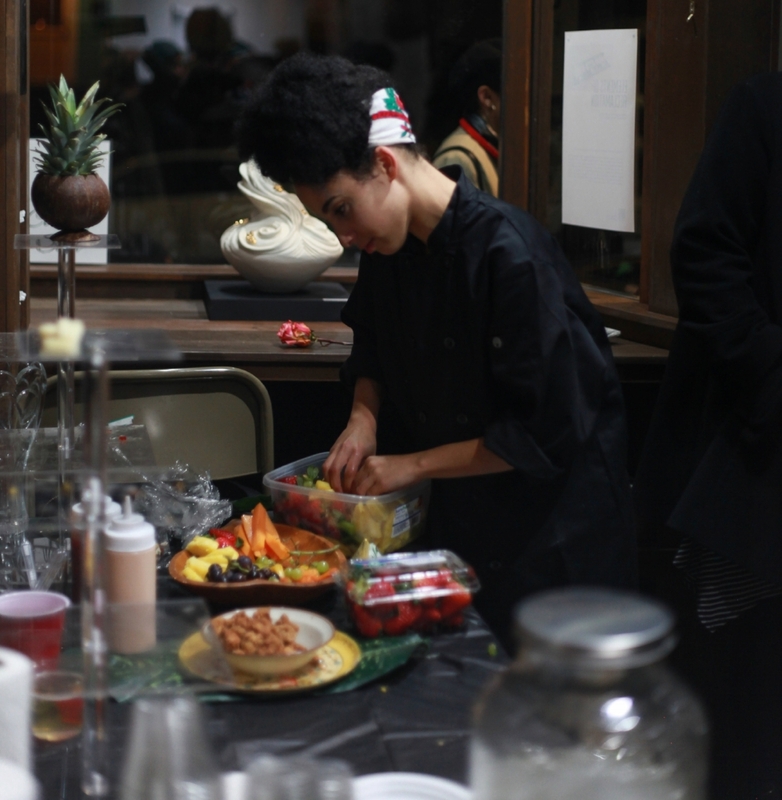 Lo Smith is interested in material culture, self determined healing processes (also known as folk medicine), and the potential of memory and personal archiving to disrupt state and interpersonal violence on black bodies and queer bodies. In this series of work, Lo attempts to explore the practice of print as catharsis through pushing back on the common printmaking goal of creating perfect multiple from one stencil. In this process of ‘un-making prints’ , the artist begins to interrogate the limits and boundaries of what a printed art object is, and attempts to investigate it usefulness as a communicative tool. 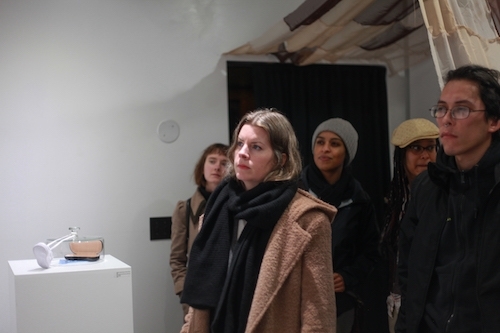 In this work and beyond Lo wants to further explore the possibility of individual printed objects as tools to connect folks, address trauma and foster healing. Lo Smith was born and raised Cleveland, Ohio and as a result is both aggressively midwestern and unapologetically black. Lo is currently based out of Providence, Rhode Island while they pursue their MFA in Printmaking at the Rhode Island School of Design. 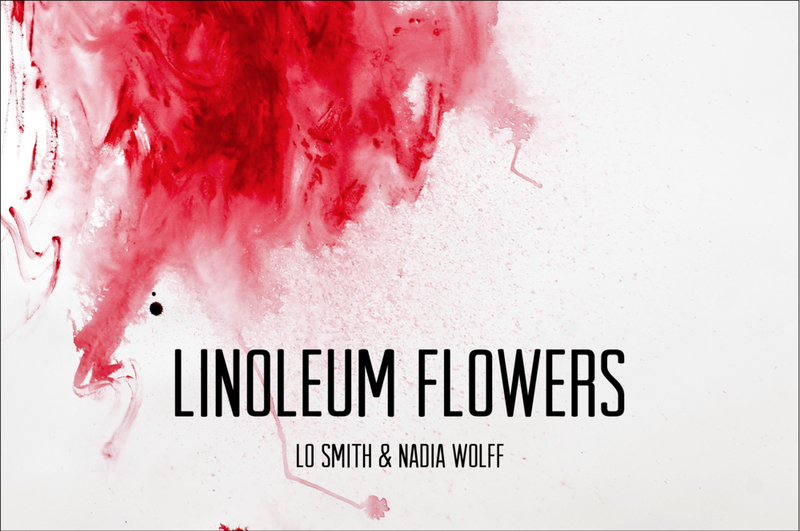 Their work has recently been shown at the Cleveland Institute of Art, The Granoff Center for Creative Arts, Emerson College.They enjoy imagining radical futures, baking, and exploring botany. 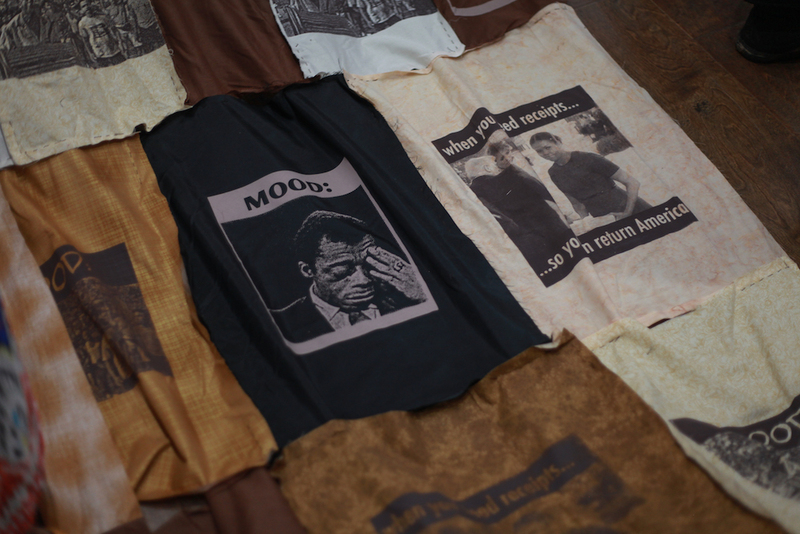 Nadia Wolff’s work uses textiles, printmaking, performance interventions, and text to examine intersections of black queer femme identities, particularly within a Caribbean context. 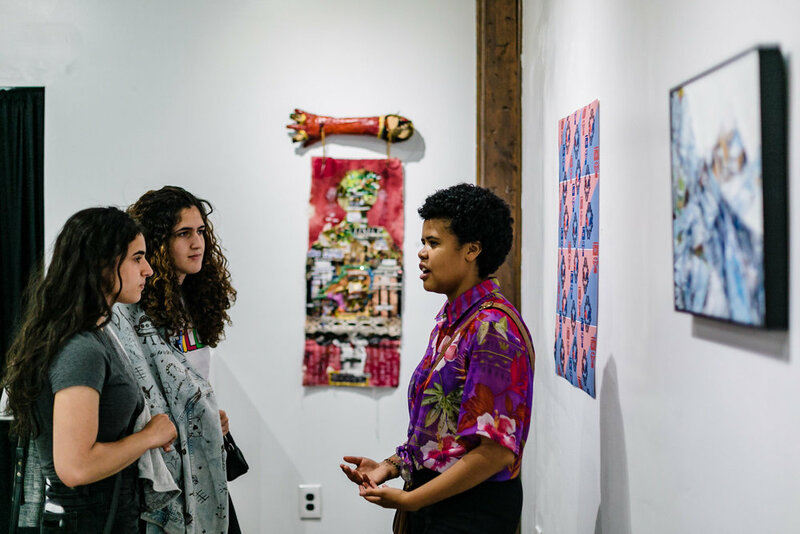 Their work is interested in the historic interactions between colonial religious and linguistic codes with the linguistic and religious forms— those of Kreyol and Vodou— that developed in opposition to these structures. 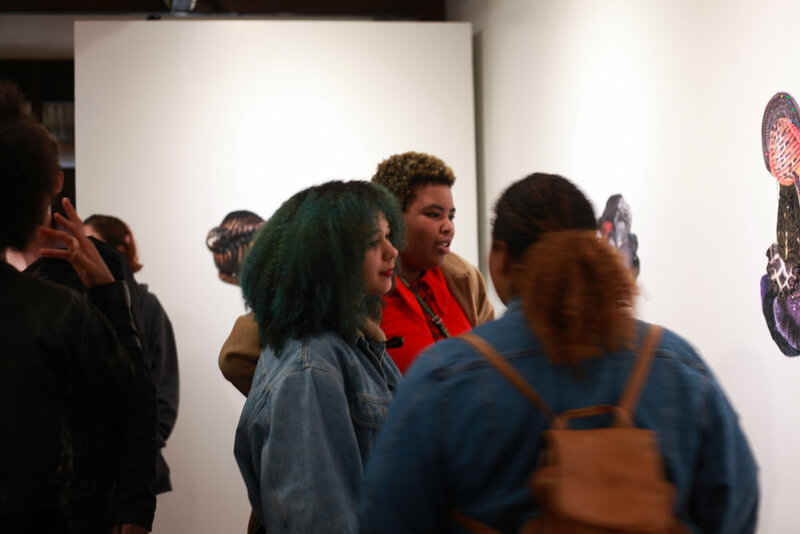 In defining both black Caribbean femme bodies and the trajectories of Kreyol and Vodou as a queering of colonial definitions of femininity, sexuality, and language, their work hopes to present a healing re-imagining of the intersections of race, gender, religion, and place. Nadia Wolff is an artist, designer, and writer originally from Miami, Florida, now based in Providence, Rhode Island. They are currently pursuing a BFA in Textile Design and a B.A. in Literary Arts in the Brown University/Rhode Island School of Design Dual Degree program. They are a 2016 U.S. Presidential Scholar in the Arts, and have exhibited in Miami, FL at The Rubell Family Collection, The YoungArts Foundation, and House of Art Gallery; Washington, D.C. at the John F. Kennedy Center for the Performing Arts; and Providence, RI at the Granoff Center for the Creative Arts and the RISD Museum. Ori Gallery is pleased to present our inaugural art exhibition Elements of Reclamation. 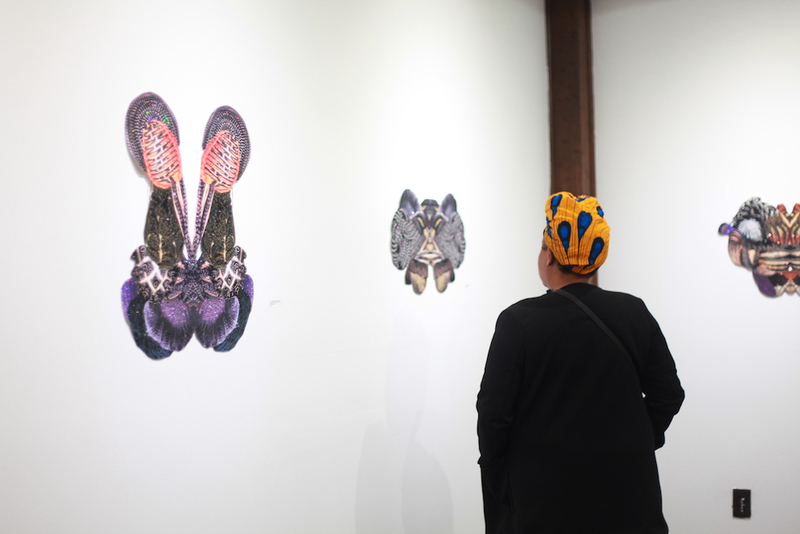 Elements, considers the work of five black artists (Lisa Jarrett, sidony o'neal, Intisar Abioto, Melanie Stevens and Maya Vivas) coming together to challenge ideas of homogeny and create a breeding ground for reclamation. Reproducing what once was and revealing in, what is, full and pregnant with narratives ripe in complexity, joyousness, the playful, the nonsensical, the bothered and unbothered ways of being. These elements of reclamation expand beyond the single unit of body and ideas of possession. It encompasses place, culture, community, past, present and future. It is a coming together of a body of bodies conscious of their context. It is a body thinking of itself. Melanie Stevens is an artist, illustrator, and writer. 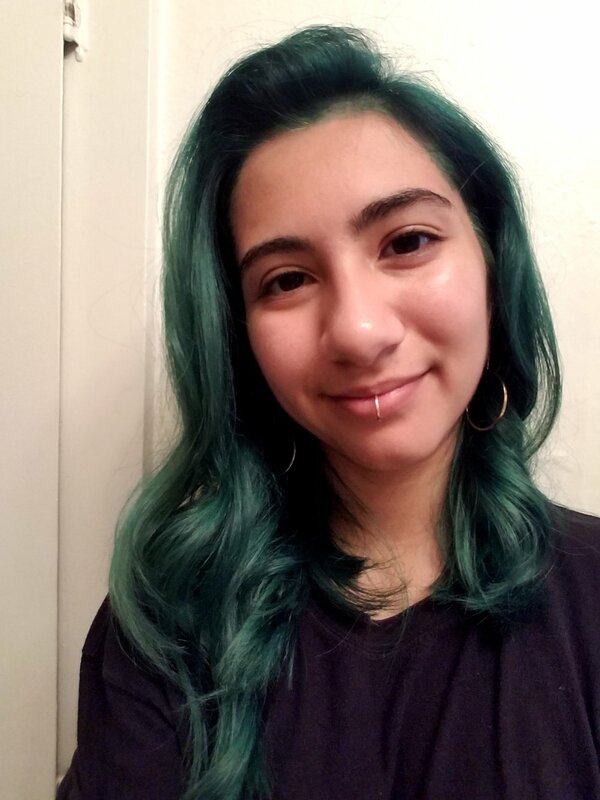 She is the creator of the graphic novel, Black Picket Fence, and the co-founder, editor, and an instructor of Miss Anthology, an organization that supports and publishes racially and economically diverse young comic artists who identify as female or genderqueer. She is also the co-curator of Nat Turner Project, a migratory, radical gallery space that grants artists of color the freedom to create or express their own language within and without the parameters of racial commodification or designation. 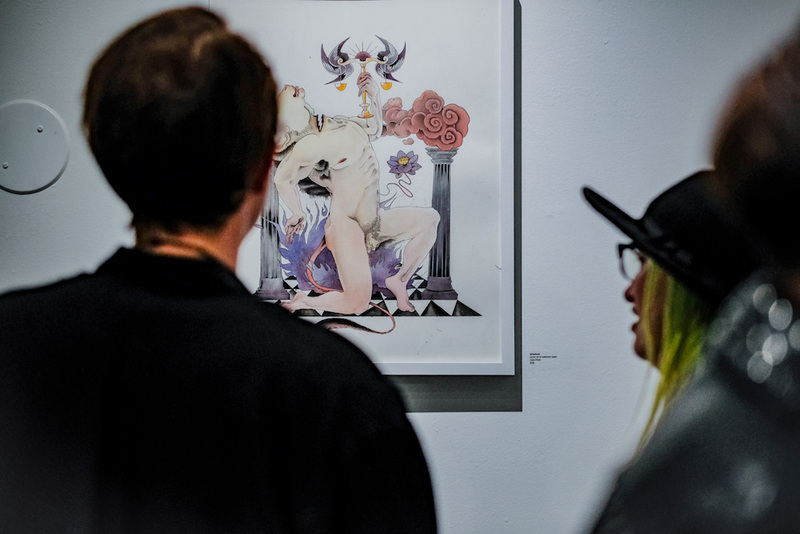 She received her Bachelor of Arts degree for Political Science from Yale University and her Master’s of Fine Arts degree for Visual Studies at Pacific Northwest College of Art. Maya Vivas is a ceramic sculptor and graphic designer. 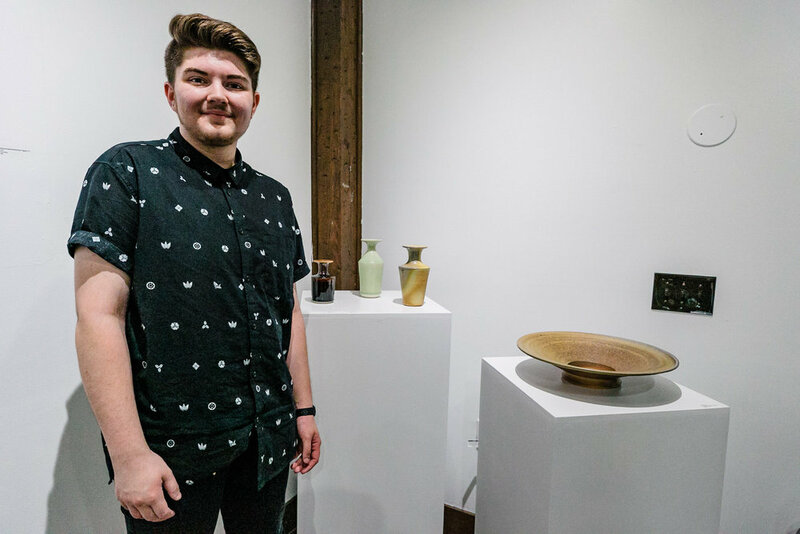 Their ceramic sculptures have been featured in an array of galleries throughout Portland, Los Angeles and New Zealand, including venues in association with NCECA (The National Council on Education for the Ceramic Arts). In addition to being an active member at Radius Community Art Studio, they are currently Co-Director of ORI Gallery. 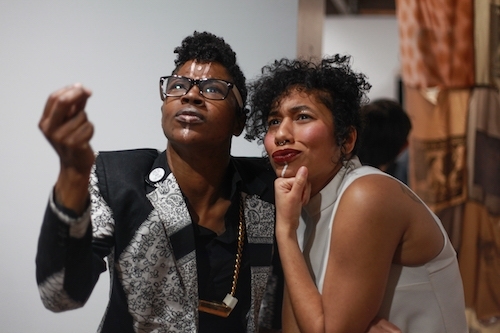 Whose mission is to redefine "the white cube" through amplifying the voices of Queer and Trans Artists of color, community organizing and mobilization through the arts. Intisar Abioto is a dancer, photographer, and writer originally from Memphis, TN. With a research focus on the African Diaspora, her unique form of story inquiry as a way of life has taken her from Mississippi to Berlin to Djibouti, seeking the multifarious presence of people within the diaspora. She's the creator of The Black Portlanders, a photo essay and exploratory blog imaging people of African descent in Portland, OR. This led to research into Black life around Oregon as photographer for the Urban League of Portland’s State of Black Oregon 2015. She released her first publication, Black Portlands, in 2016. I work experimentally across sculpture, performance, text, and sound composition—drawing conceptually on theories of blackness, abstraction, waste studies, the performance of refusal, translation/untranslatability, automata, material logic, queerness, and personal/archival technologies to consider borders, surfaces, heaps. What new modes of seeking might arise if we decenter our hope for a future based on arrival—on terminal location, fixed topography, stillness? I attempt to embrace a feeling that (s)lack, fugitively, and object-hood might have always been more valuable markers of existance. sidony o'neal (b. 1988) was born and raised in South Sacramento, CA.